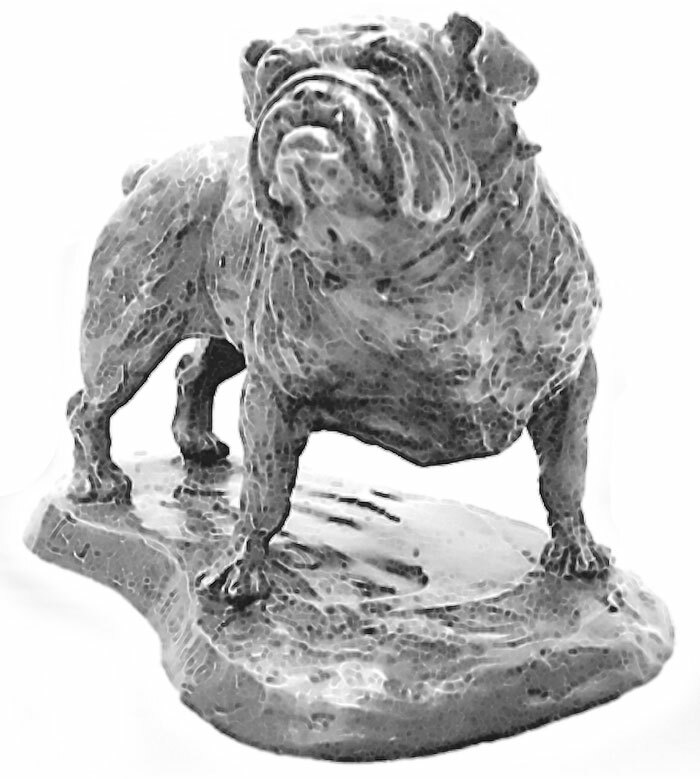 From early history, the bulldog has been known as a tenacious breed. Their readiness to fight and refusal to surrender has been the subject of many a story and tall tale. The loyal dogs fight to win. In the rough-and-tumble days of the 20th century, the animals were popular as guard dogs for businesses. With the Burkburnett oil boom in full swing, the dogs where everywhere - guarding from theft and sabotage, traveling with intinerant drillers and roughnecks. 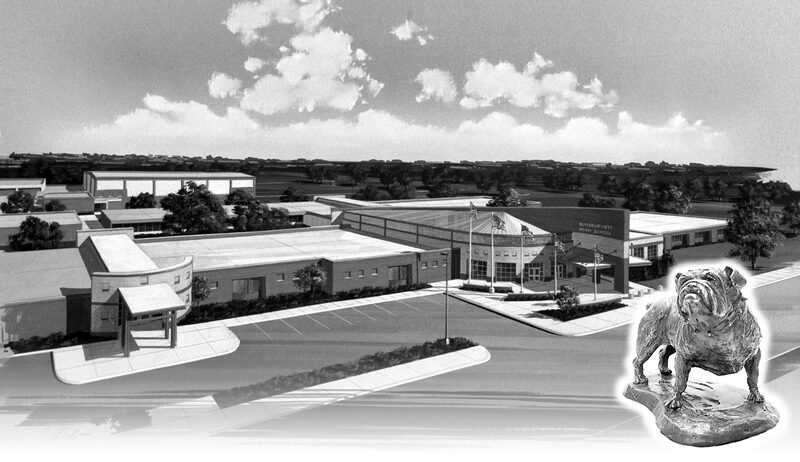 Later, with the town settled down some and the school system formed, a team mascot was needed. 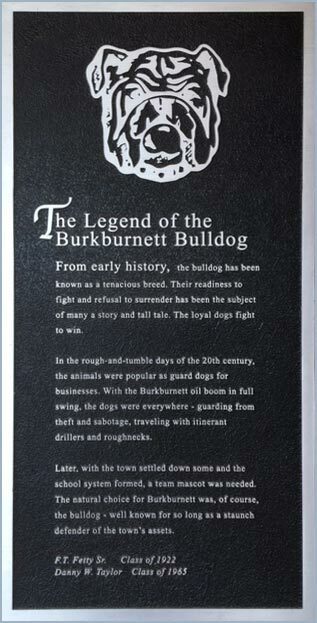 The natural choice for Burkburnett was, of course, the bulldog - well known for so long as a staunch defender of the town's assets.